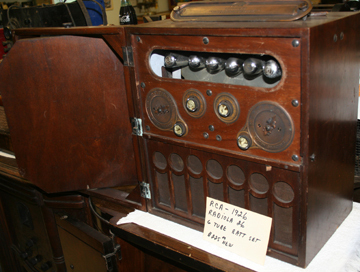 CHECK’S RADIO MUSEUM – is a fascinating, free display of over 1000 radios and broadcast equipment. 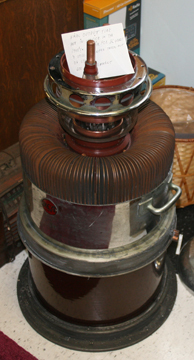 The museum is located about 5 miles north of East Brady in Hillville PA next to the Allegheny River. 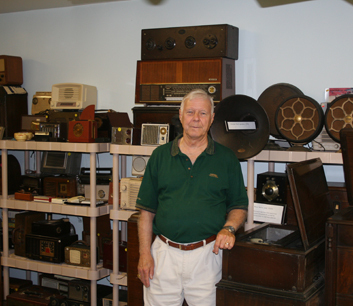 Mel Check has collected radios for over 40 years. 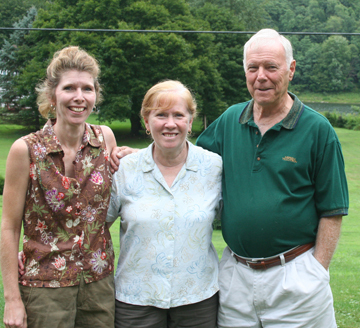 He worked as a broadcast engineer for KDKA and tells some interesting stories about early days of KDKA, and some of the interesting people that worked there. 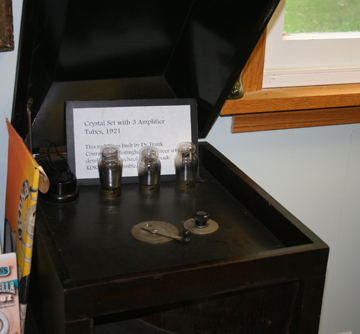 Including in his collection is “Crystal Radios”an early way of listening to radio signals. The Check family also has a musical gospel group called “Trinity”. This entry was posted in Danna's Radio Diner Archive and tagged Radio. Bookmark the permalink. My father’s name is Norman Scheid. 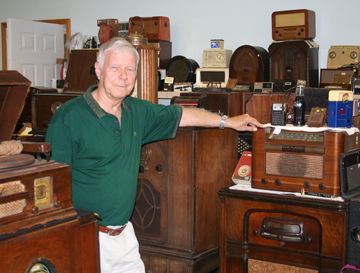 He used to own a company called Mobile Radio in PA. He did a lot of work for KDKA back in the 60’s. my cousin Ray Voller found your place and told me that you know my dad!! We’re coming back to PA next week. We live in Florida now. Can’t wait to come and see your place, and bring my dad!! He’s going to love this!